Both for us as professionals and for our attendees to talks and other arrangements it was a BLAST. We started the event off with Dmitry Gorsky telling us about the last seven years of expeditions in Bjurelven in the northern part of Sweden. At the moment of writing he is on his way back for the eighth year of expedition push dives. This lecture really gathered the dive community in Bergen and brought out some people we do not usually see in our center. Dmitri gave a brilliant lecture and kept everyone on the edge of their seat effectively using video PowerPoints and speech. In the end of his lecture, he went a bit more into the philosophy of why they do this and interacted with the audience throughout the presentation. After the lecture, the audience got to ask less formal questions over coffee. 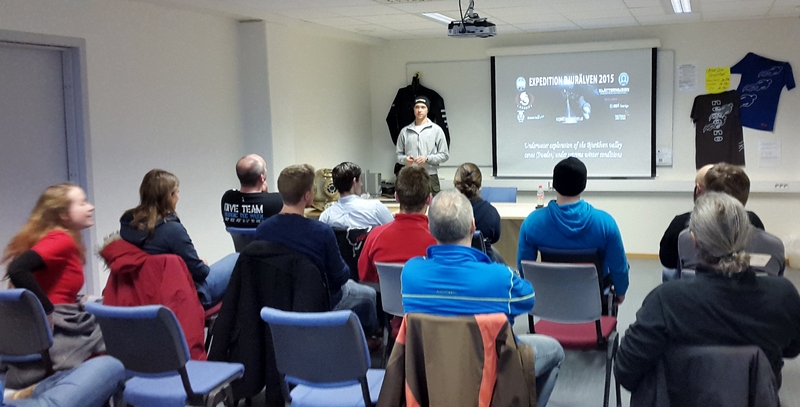 Sunday we kicked off with “Diving Poseidon rebreathers” presented by Gry Henriksen. She talked about the MK6 and Seven as both recreational units and travel companions and signed people up for test diving the Saturday after. After a little coffee and social mingling we gathered for a discussion about diving tables and plans Vs Computer diving. Led by Course Director Kjell Evensen as pro Tables and Trimix instructor René Petterson in the corner of pro Computer we got a fantastic discussion going. In the middle of this discussion, Matt Robinson who is the training director for Hollis UK sat in and gave his input as well. Monday started with our first brand stands and demo equipment days. Featured brands was Hollis, Bare, X-Deep and Lavacore. 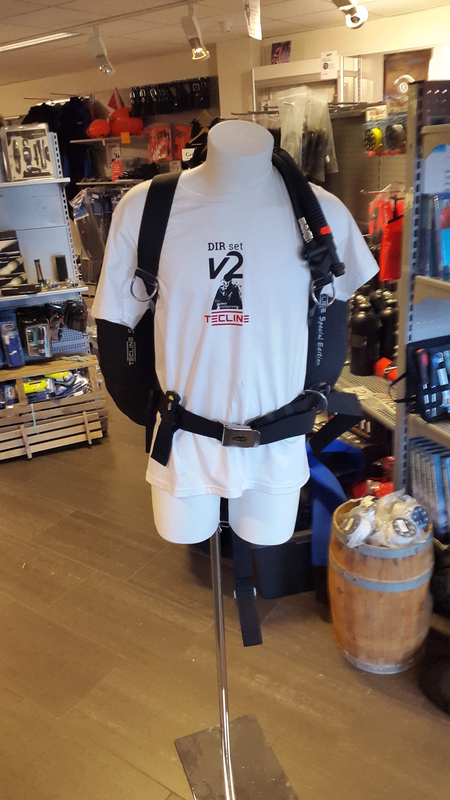 The 2 new Bare dry suits Expedition and X-Mission available for test diving as were the Hollis SMS75 sidemount harness and the X-Deep Black nitrox computer. In the afternoon, Matthew Robinson gave his presentation about the evolution of technical diving the last 15years. 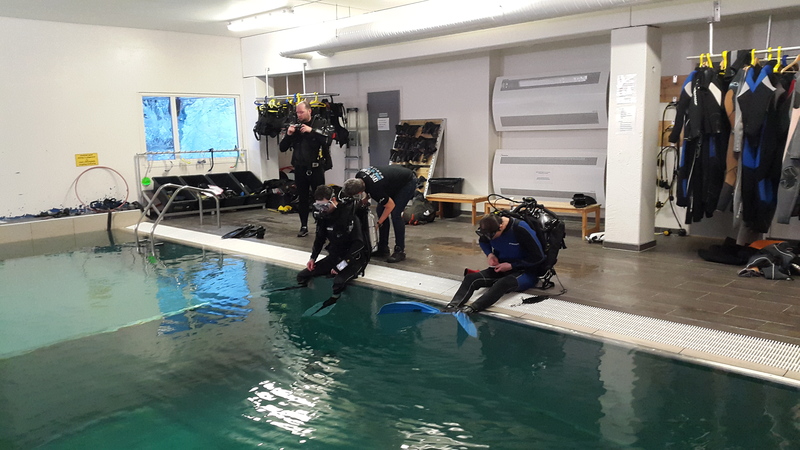 Tuesday morning the pool was busy with rebreather test dives on both the Explorer and the Prism2 and later on Tec Deep instructor course. During the afternoon we made ready for Jonas Samuelsson who was giving his speech on the Hamilton Expedition and TecRec diving. 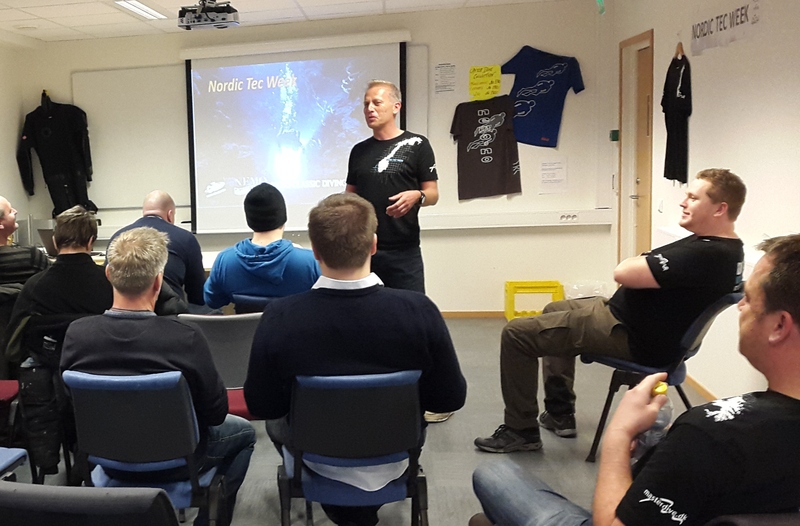 Jonas being the great guy he is, mesmerized the audience and drew them into the adventure of technical diving while explaining the personal goals and values he has invested in the sport and what he gets out of it. He went on to explain roughly how to finance expeditions and gave some good tips and tricks. Jonas was also avalible in the center the day before and daytime of his talk so people could have a chat with him. 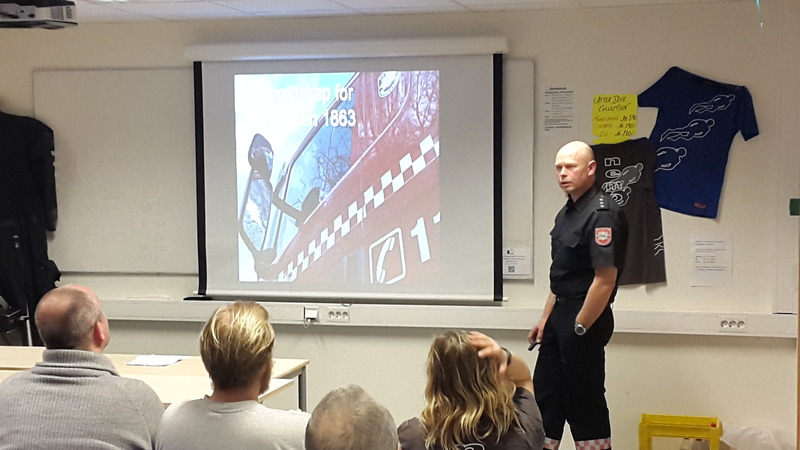 Wednesday Frank Åstveit from the Norwegian Fire and Rescue services stood ready with an all night talk about the Rescue service, how they operate and what type of equipment they use. One of the real eye opening issues Frank brought up was “Rescue divers only do 30m”. As a technical diver if murphy finds you, there might not be a rescue available. To show how rescue services work and operate Frank used a presentation and video material from an accident literally right outside the centers doorstep. A 166m long stone carrier ran a ground and capsized in the middle of a narrow fjord called Vatlestraumen, which serves as the southern main seaway to Bergen. Fire and Rescue services had to cut a hole in the ships keel while still keeping it a float to evacuate survivors. The material presented was graphic. There were some fatalities and the rescue services job was to extract bodies from the wreck. This had been well documented and today it is used as training material in the training of fire department rescue divers. Frank summarized the talk with saying that Rescue divers will go above and beyond but they cannot compromise the safety of their divers. Thursday morning we had some new brands in the show room. Aqualung, Apeks, Fourth Element, Tecline and Suunto was now everywhere in the showroom. The featured test product now was the new Suunto EON steel. David “Dinky” Armstrong flew in and with him, he had a big surprise. A brand new JJ CCR that he offered test dives on in the pool. This became an instant hit and with the Hollis test dive freshly in mind people where flocking to get a feeling of the different units and their applications. Kjell Evensen stood ready to give his talk on technical diving in the Red Sea in the afternoon. 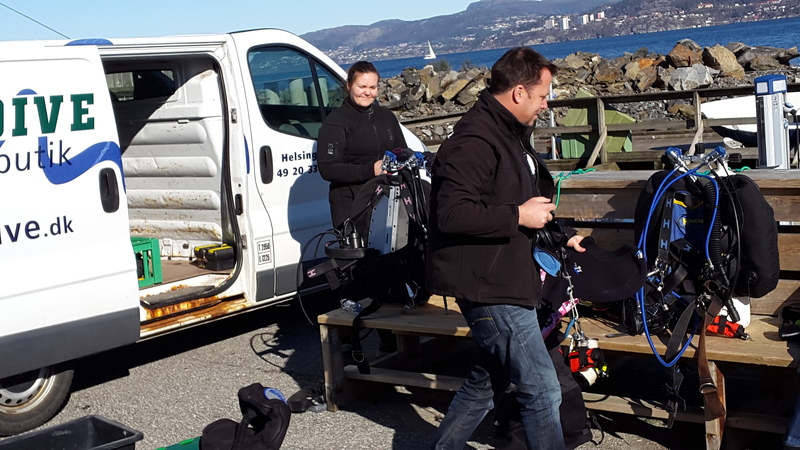 He spoke in depth on the how and why this area has become a technical diving mecca of Europe and how it differs from the cold water diving we are used to on our shores. Along with some tips and tricks of the trade the audience where more or less ready to head for the airport when he was done. Friday morning was dedicated to what we all love. Diving. Kjell jumped in with the Tec Deep Instructor class and David Armstrong and Renè Petterson took their rebreathers for a little scooter ride. About 15.00 people were showing up to talk diving check out the showroom and got ready for the afternoon lecture about “Diving really deep with CCRs 180m+”. This was really an old diver in a young mans body. The level of detail and knowledge presented in this class was world class. 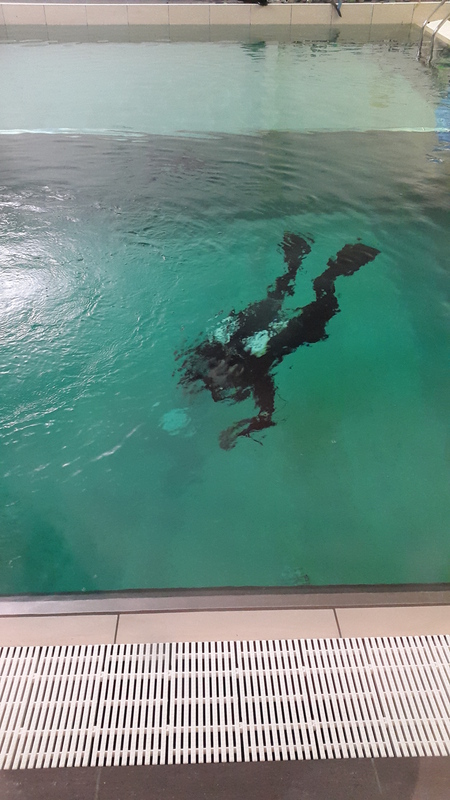 There where both rebreather divers, instructors and OC technical divers among the audience. Everyone was at the edge of their seat and absorbing every little bit of the presentation. 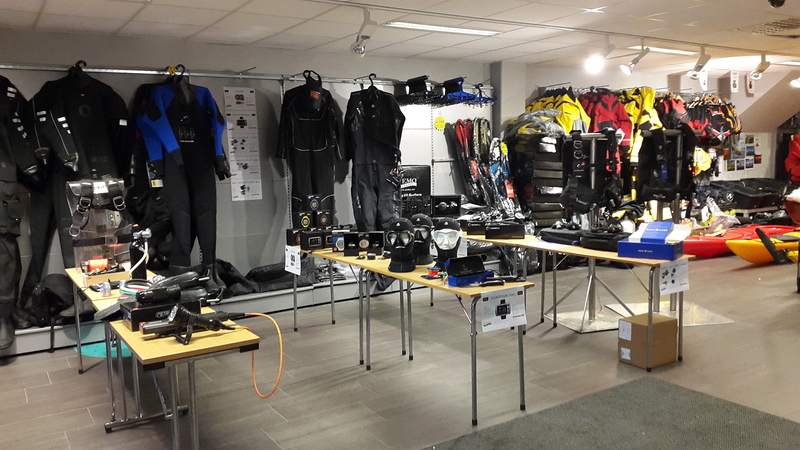 Saturday had a lot of activity in the showroom and at 12 we started the Poseidon rebreather workshop and test dive. Saturday ended with a big party and happy faces. Jonas Samuelsson and Trond Skare did an excellent job representing PADI and a special thanks to Mary-Ann Marthinussen PADI #277008 for not only doing all the graphics, logistics and being an all around Mrs.Fix It but she also passed her Tec Deep instructor course during the week so we now have some new blood and a female Tec Deep instructor at Nemo. So how do you follow that? 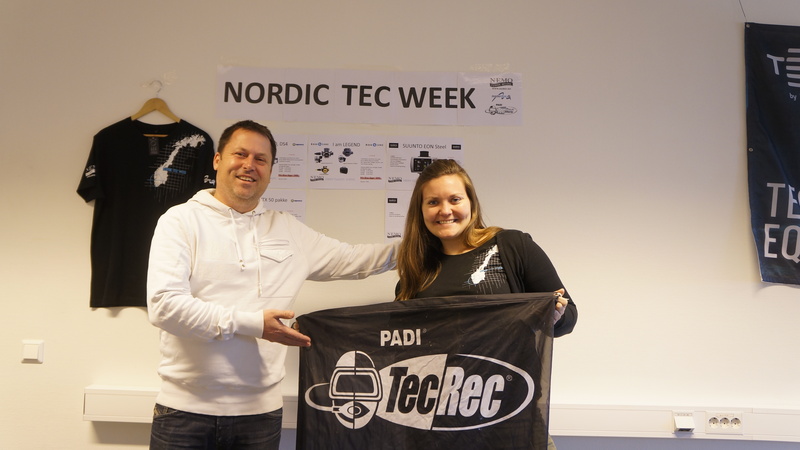 Well, we already have plans for NordicTec week reloaded at Masterdive in Helsingør DK from 3-6th Sept 2015. As for Bergen, it will be 2 years until the next event. Nordictec.net, .dk and .no will be up and running soon with news about future events. In the meantime you can contact rene@nemo.no for information. What an amazing week in Bergen during Nordic Tec Week!! Thanks to the organizers Rene Petterson, Kjell Håkon Evensen, NemoClassicDiving, Masterdive Helsingør and so many others. Also would like to thank my fellow speakers Matthew Robinson, David Armstrong, Dmitry Gorsky, Gry Henriksen, Frank Åstveit and Kjell Evensen. This was the perfect pilot project. Now lets import it to Sweden and Denmark and see if we can match what the Norwegian Tec community managed during the week. 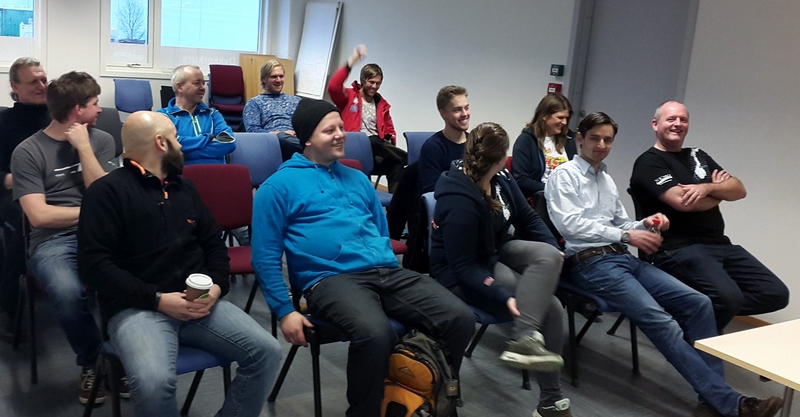 Next Nordic Tec Events are in Helsingor with Masterdive Dykkercenter Helsingør and in Jonkoping with Peter Andersson as organizers. Follow the TecRec blog to stay updated.